There isn’t some kind of special motivation for making art. Instead, the drive to create is present within each and every one of us. It’s only a matter of choice if we follow it. Alby Guillaume aka Remed is a French artist who plunged himself into the world of art without any kind of formal training, but that didn’t limit him in any way. Characterizing his work as mix between mathematics and soul, he seeks precision and always listens his gut feeling. Simplifying things is one way to make them universal. Sometimes the artist succeeds, sometimes not, but all the pieces possess a level of sincerity that makes them appealing to the viewers. Well, their imposing visual qualities also help in a great deal. 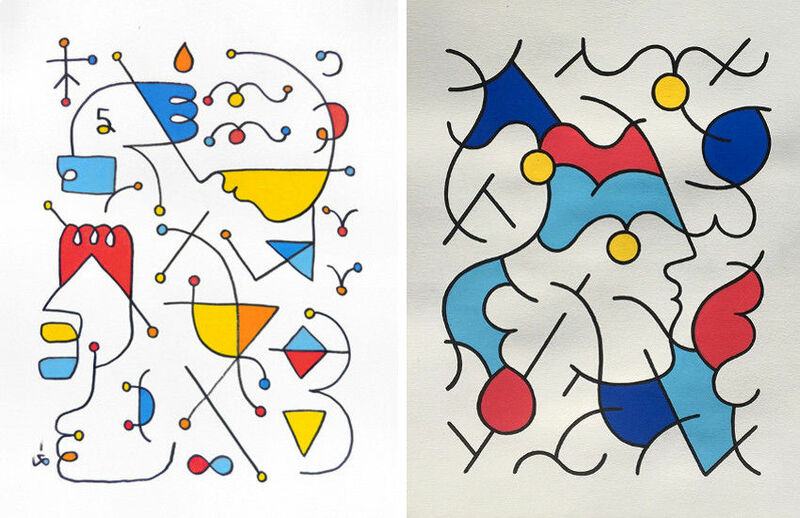 Influenced by Picasso, Léger, Matisse, Modigliani, Miró, but also Typography, Asian Calligraphy and Art Brut, Remed creates pieces that are colorfully challenging and yet accurate, without being overwhelming. He takes styles well past their due date, and revitalizes them, making them contemporary and giving them a feeling of freshness. The idea behind his work is for people to be able to recognize themselves in his art, that’s why he’s trying to make his pieces as universal as possible. Life itself is where the most of the inspiration comes from. By using what he feels, what he lives through, the artist is telling his story, hoping that the viewers will recognize some of their own life cycles within his ones. There are three events that shaped his career, and life, consequently. He was really moved when he saw a book about Modigliani; the second one happened in Tourcoing in northern France, while Remed was living and studying in Lille. He entered the house of Madjoub Ben Bella, a wondrous honest abstract calligraphy artist and was amazed with the artworks. A few years later, Guillaume invited Nadjib Ben Bella, Madjoub’s son, to come with him to Marrakesh. There, while chatting about life, as Nadjib reminded him that his father is an artist, Remed understood it’s also possible for him to become one. The third and the one that probably cemented his decision to be an artist happened in Marrakesh when his friend asked him what he wants to do in his life. He discovered painting at the age of 17 in an atelier of his home town, Lille, where he enjoyed the privacy and quietness of the studio. But, over time, the need to surpass the limitations of a canvas and framework, so we roamed into the streets where he feels most comfortable. Despite of the shift of focus towards writing graffiti and creating large-scale murals, Remed continues to paint as well. Color, shape, and sound are rhymed to express emotions, feelings, the constant evolution of thoughts. Creating art for Remed is similar to writing a diary, an honest blend of soul and science, with accuracy, logic, transmutations and rhythm being of equal importance for the both fields. ‘’I live what I feel, I paint what I live.’’ And that’s why, in these days where everything can be sold and much revolves around marketing and money, Remed hasn’t forgotten why he paints. He is represented by Adda Gallery and David Bloch Gallery. 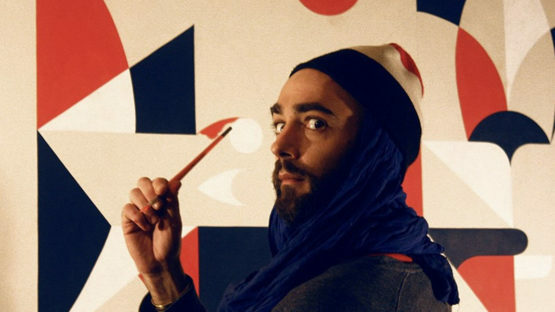 Remed lives and works in Madrid.